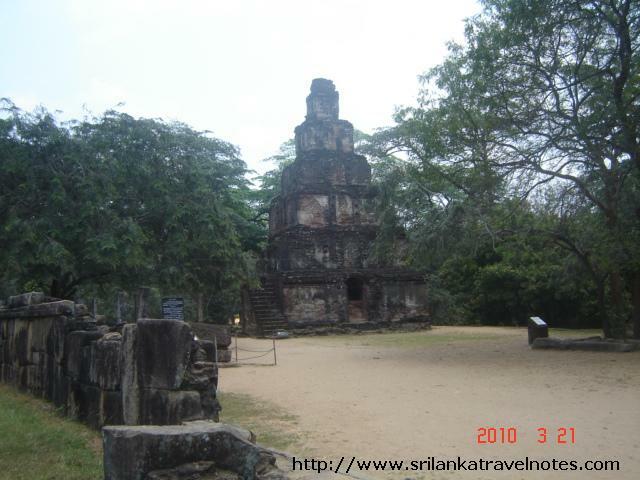 This unique type of brick structure is located in Polonnaruwa Dalada Maluwa. 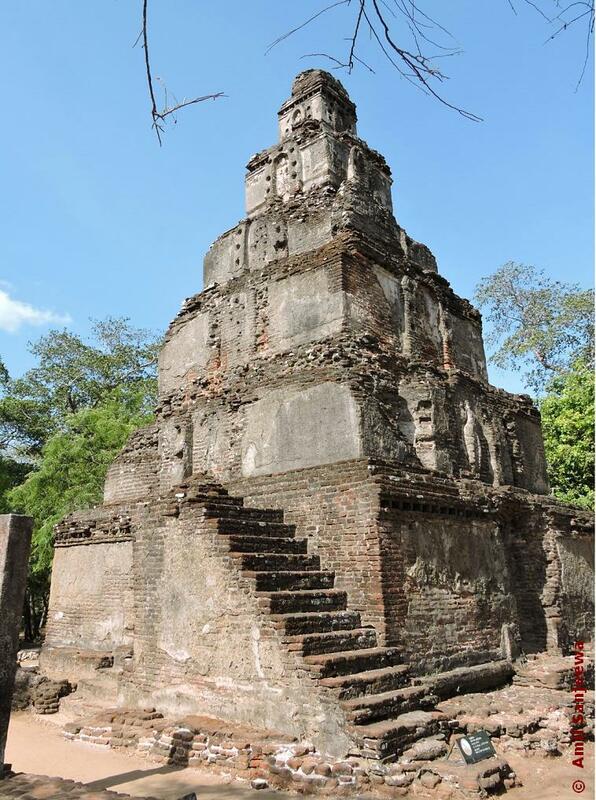 According to some archaeologist, this seven story ( sath mahal) structure is a special type of Dageba (Pagoda). The base of the Sathmahal Prasada is square in shape, and each side is 32 feet in length. You can see the remaining of the stair by the left hand side. This stair case must have used to reach the upper levels. Four arch doors are located in each side. These type of Pagodas are found in other Buddhist countries such as Thailand or Cambodia. 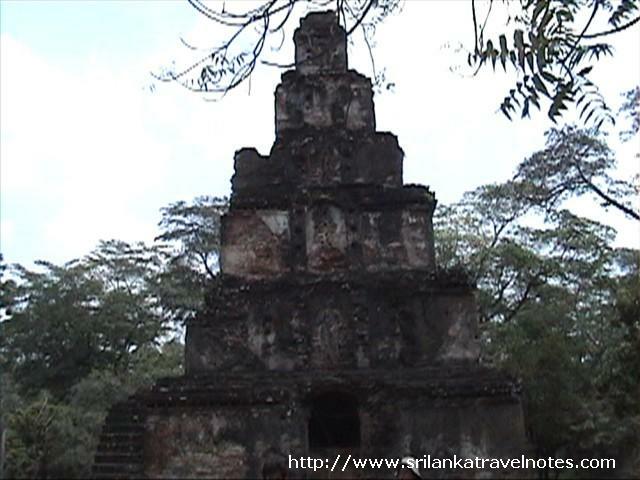 But it’s not clear who constructed this and the reason behind the construction this type of pagoda. May be a due to a result of some sort of international relations at that era. Or even infuance from Mahayana Buddhism.